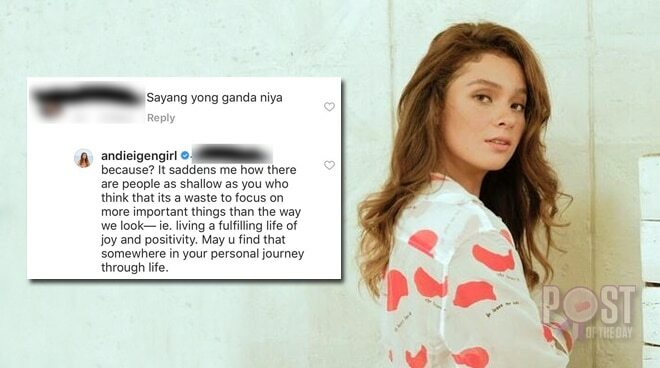 Andi Eigenmann got irked by a netizen’s comment on her Instagram post. 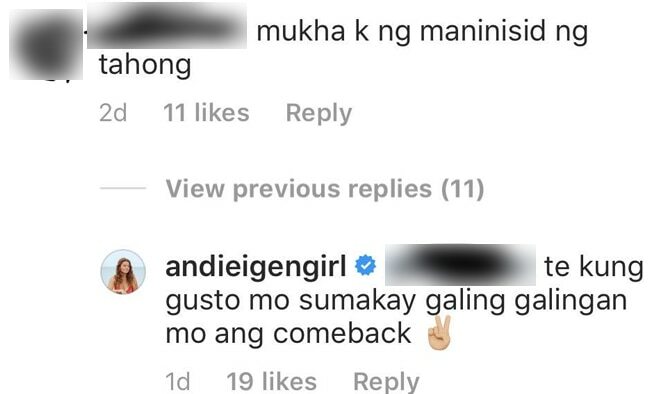 Andi Eigenmann might be living her life to the fullest by enjoying her ‘low key’ lifestyle but not everyone seems to be agreeing to it. In one of her Instagram posts, one netizen told her, “Sayang ang ganda niya.” This caught the attention of the actress prompting her to share a piece of her mind. “Because? 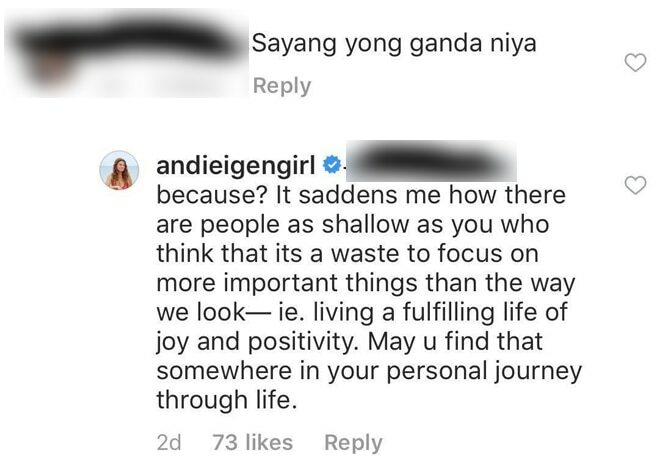 It saddens me how there are people as shallow as you who think that it's a waste to focus on more important things than the way we look, i.e. living a fulfilling life of joy and positivity. May you find that somewhere in your personal journey through life,” Andi wrote. Andi has always been vocal about her love for aqua sports and living a life close to the sea that she decided to move to Baler, Aurora away from the limelight.